European design of this rounded wall-mount hood works well in any kitchen. Heat lamps may also be added to selected models. Click on the specs for a list of our base model numbers for standard sizes; simply select the model you need, and then specify the finish (painted, stainless steel, real brass, real copper, or hammered copper). Recommended mounting height is 30" above the cooking surface. All Vent-A-Hood products are suitable for use in damp locations (outdoor applications such as a covered patio) when installed in a GFCI protected branch circuit. You deserve to have a beautiful, clean kitchen, and a great range hood can help make that dream a reality. Range hoods sit above your cooktop or cooking range and use a fan system to ventilate all the steam, airborne grease, and smoke created while you cook out of your kitchen, ensuring the air stays fresh while helping your appliances and walls stay clean. For exceptional quality range hoods, consider Vent-A-Hood. For over 80 years, Vent-A-Hood has manufactured high quality range hoods that boast exceptional power. The company manufactures under cabinet range hoods, wall mount range hoods, and more, ensuring you find the perfect model for your kitchen. Vent-A-Hood’s appliances utilize the company’s patented Magic Lung® blower system, which offers high quality ventilation with a low level of noise. While other range hoods operate with noisy fans, Vent-A-Hood’s hardly make a sound. You might not hear your Vent-A-Hood, but you’ll certainly notice its effectiveness. The Magic Lung system’s multi-blower technology provides peak efficiency and power, quickly cleaning the air in your kitchen. With a host of sizes, styles, and design features available in all of its range hoods, you’ll be sure to find a Vent-A-Hood perfect for your home. For a quite range hood that offers impressive results, consider Vent-A-Hood. Universal Appliance and Kitchen Center offers a great selection of Vent-A-Hood appliances, helping you find the perfect range hood for your home. Be sure to browse our wide variety of range hoods today. Click here to download the Dimension Diagram(CXH30 - Premier Magic Lung(R) Professional/Standard Wall Mounted) for this item. Click here to download the Click here for Technical Specifications for this item. Click here to download the Click here for Installation Instructions for this item. Click here to download the Click here for ducting and parts for this item. Click here to download the Back Venting Guide for this item. Click here to download the CXH30 Technical Specifications for this item. Click here to download the 600 CFM B200 Dual Blower (Top View) for this item. 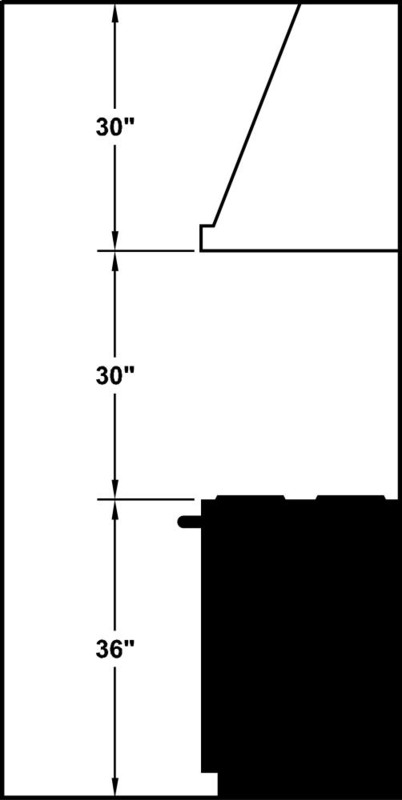 Click here to download the CXH30 Installation Instructions for this item. 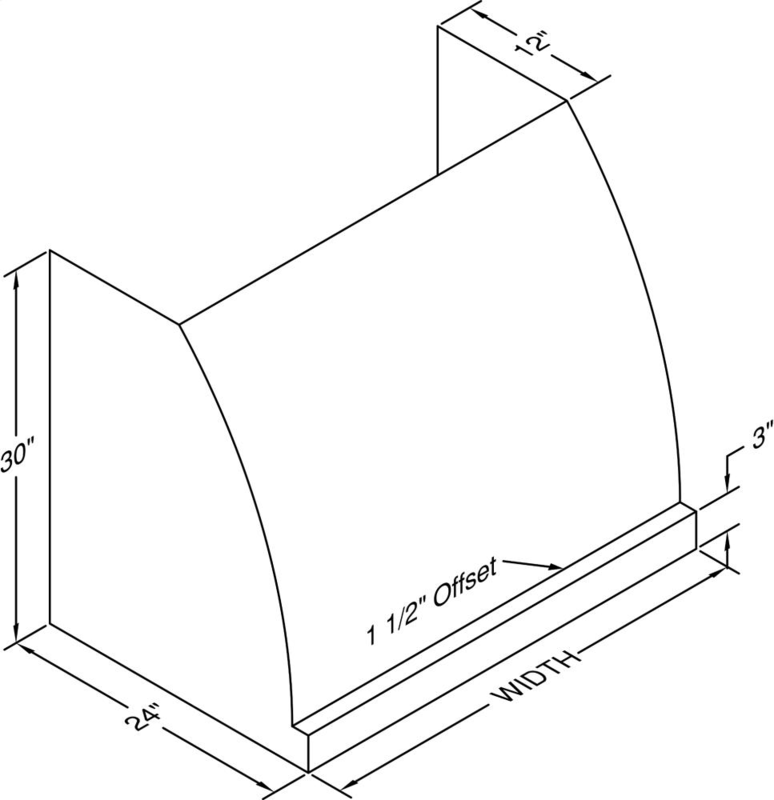 Click here to download the Ducting and Parts for this item. Click here to download the Dimension Diagram(CXH30-254) for this item.